Beautiful and Elegant- This Gold Plated Sterling Silver Bar Necklace Measures 1 1/4" x 1/4". The Front Is Engravable With One Name Or Word (9 Letter Maximum), The Back Is Engravable With A Special Date To Make This Meaningful And One Of A Kind (MM/DD/YY - 10 Characters Maximum). 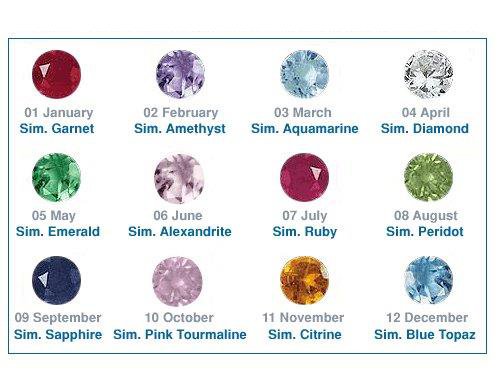 Chose 6 Birthstones To Display/Wear Your Cherished Milestone Months - if No Birthstone is Chosen, Clear Stones Will Be Used. Your Personalized Birthstone Name Necklace Hangs From An 18" Gold Plated Sterling Silver Cable Chain with Lobster Clasp. Please Allow 3-4 Weeks For Manufacture And Delivery.